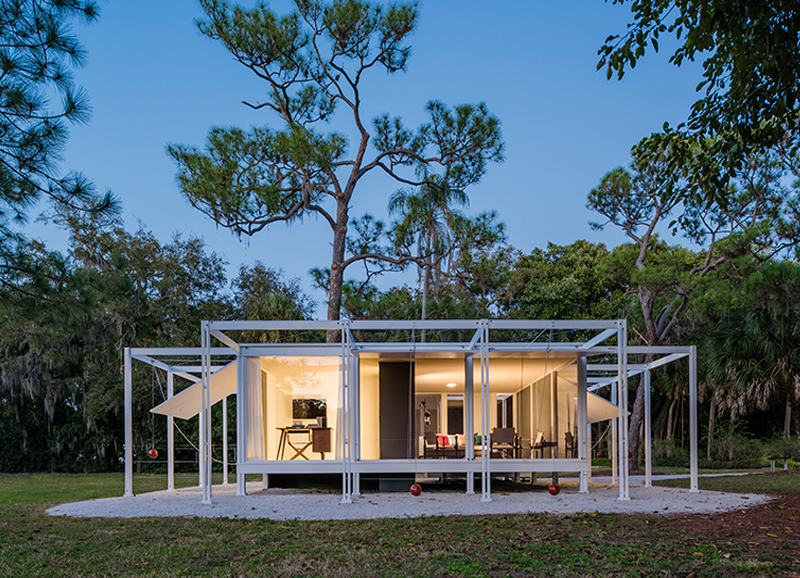 A special project of Palm Springs Modern Committee in partnership with Sarasota Architectural Foundation. 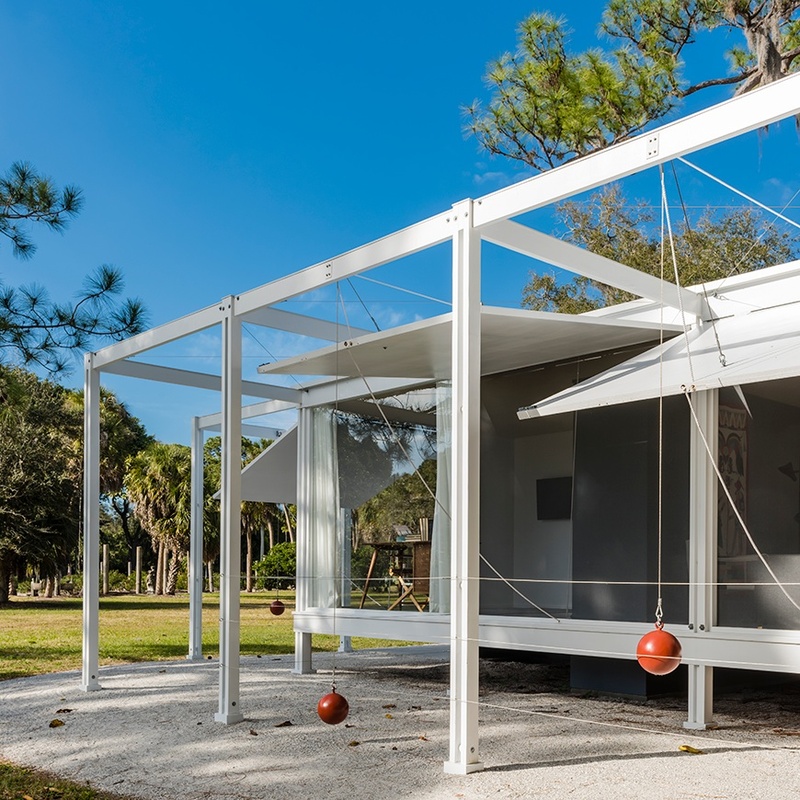 A stunning full-scale, furnished replica of architect Paul Rudolph’s iconic 1952 Walker Guest House will soon greet visitors in downtown Palm Springs. The house is being relocated and reconstructed by PS ModCom, and is on loan from the Sarasota Architectural Foundation (SAF) in Florida. This is the first time the house will be shown on the west coast and only its second public outing. Scroll down to learn more about the project and tours information. The house is open for tours on Saturdays and Sundays but times may vary. Please check this page on Friday as the schedule for the weekend may change. 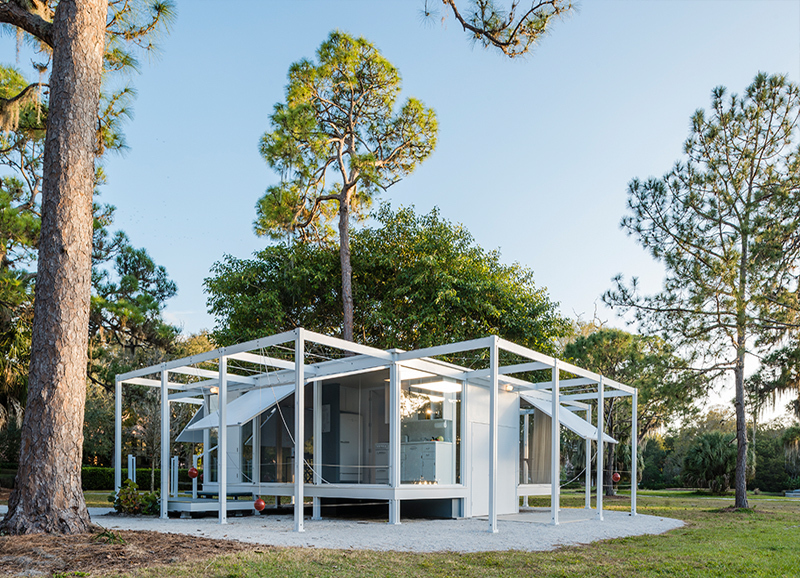 This replica of a 1952 beach cottage, by renowned architect Paul Rudolph, is a shining example of the Sarasota School of Architecture movement (1941-1966). 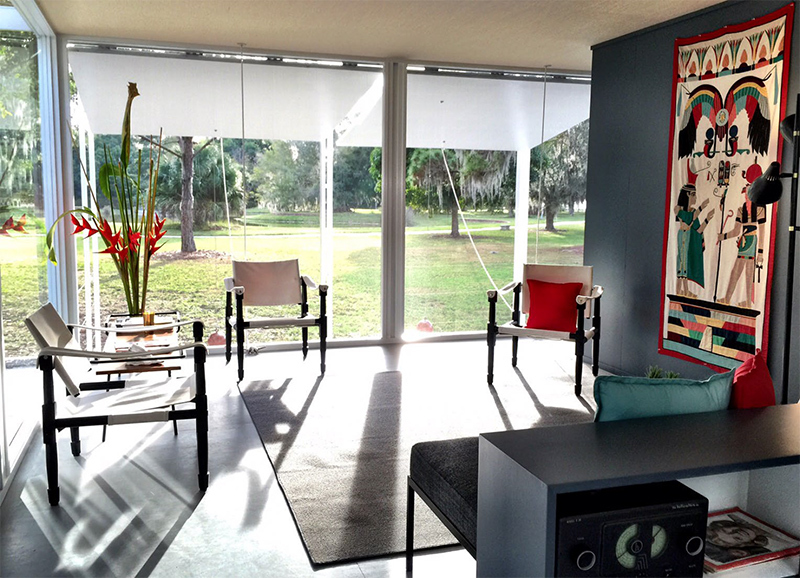 The house was designed by Rudolph specifically for the subtropical climate of Dr. Walter Walker’s property on Sanibel Island, Florida. The original structure is still used as a guest house by the Walker family. The house will be located between the Palm Springs Art Museum and The Rowan Hotel in the new downtown development on land generously provided by Grit Development. The house is due to open to the public in Palm Springs from October 18th, 2018 until the end of March 2020. Support of the project is made possible through the generosity of local and Los Angeles based businesses. Executive Director, Palm Springs Modern Committee.